Bahrain has extended a freeze on expat labor fees to stimulate its economy. Expats working in Bahrain are subject to special fees, which of course make life difficult for private business whenever they rise. The fees were initially frozen back in April, when the government hoped to offset the damage two months of social unrest did to the economy. 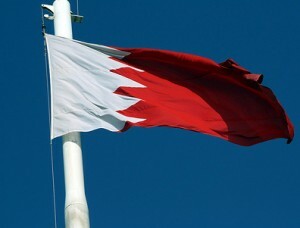 On Sunday Bahrain’s cabinet agreed extend that freeze till April 2012 , according to a report by Habib Toumi on gulfnews.com. Bahrain’s Prime Minister also asked for a full review of the fee structure and recommendations for future policy. The decision to extend the freeze on the labour fees levied by the Labor Market Regulation Authority will substantially contribute to reducing the effects of the recent incidents in Bahrain on the economy. The government of Bahrain (and more importantly the country’s businesses) are clearly keen on retaining a supply of foreign labor. Over 75% of the country’s workforce is foreign: only 120,000 locals compared to 480,000 foreigners. Most expats work in the country’s mammoth oil and gs industry, which accounts for 60% of both export and government revenues, as well as 30% of GDP. Notably, Bahrain is also the “freest” economy in the Middle East, according to the Heritage Foundation and Wall Street Journal‘s Index of Economic Freedom. Bahrain ranked #10 overall in 2011, just after the United States (by comparison the UK was #16 and Germany #23). All of this bodes well for expat workers in a year where other GCC countries, particularly Saudi Arabia, are looking to reduce the size of their expat workforces to improve local employment numbers.